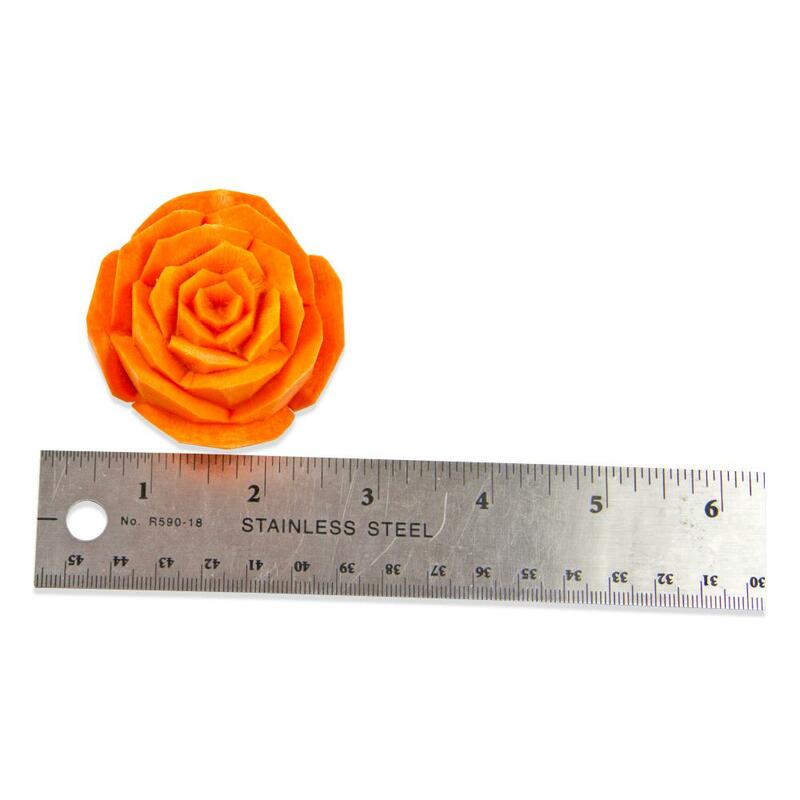 Store vegetable roses in your refrigerator in their sealed packs until you’re ready to use them. 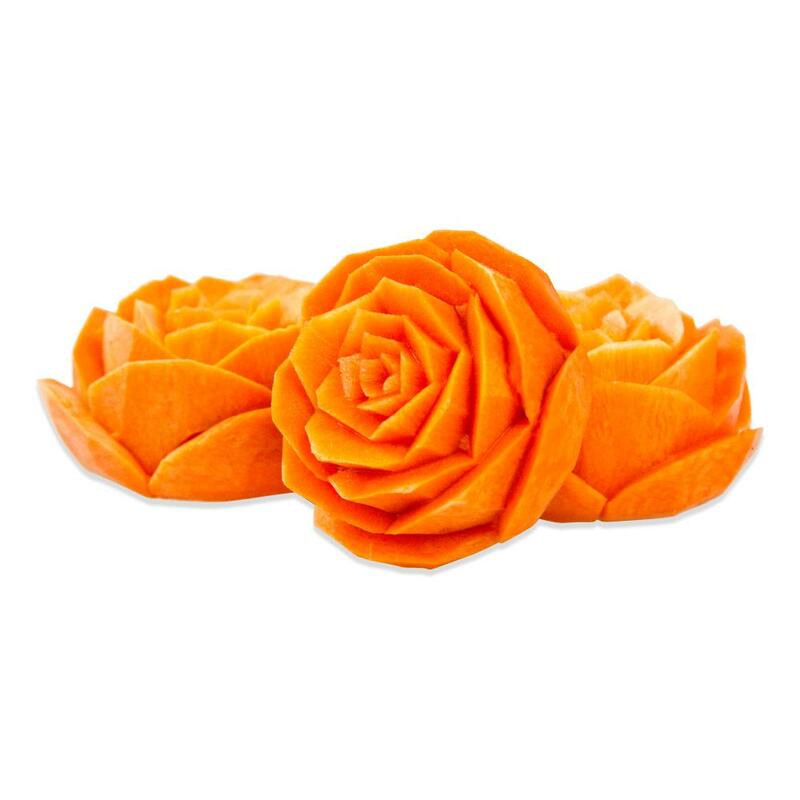 These brightly colored vegetables have been peeled and hand-carved into beautiful roses. Once steamed or roasted until tender, you can serve them as you would other veggies as a cute side dish or garnish. 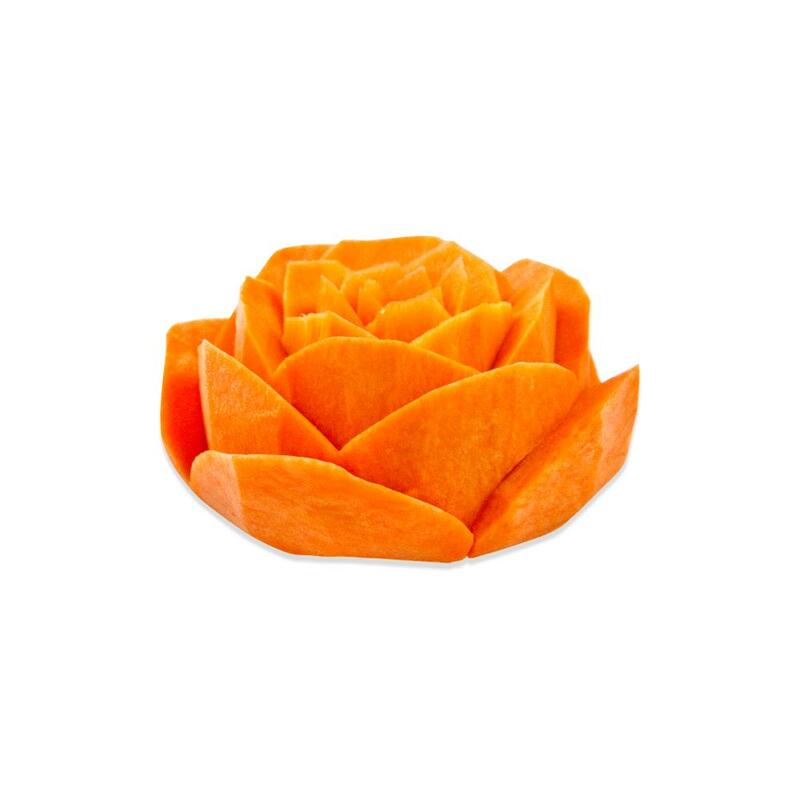 Carved vegetable roses can be cooked as you normally would the vegetables in question, but we recommend steaming them or roasting them to protect their appearance. Once they are tender, you can serve them as you would any other beets, potatoes, or turnips. If you would like to serve them with a sauce (for example, potato roses with gravy), consider putting the sauce under them (instead of on top) in order to better show them off.